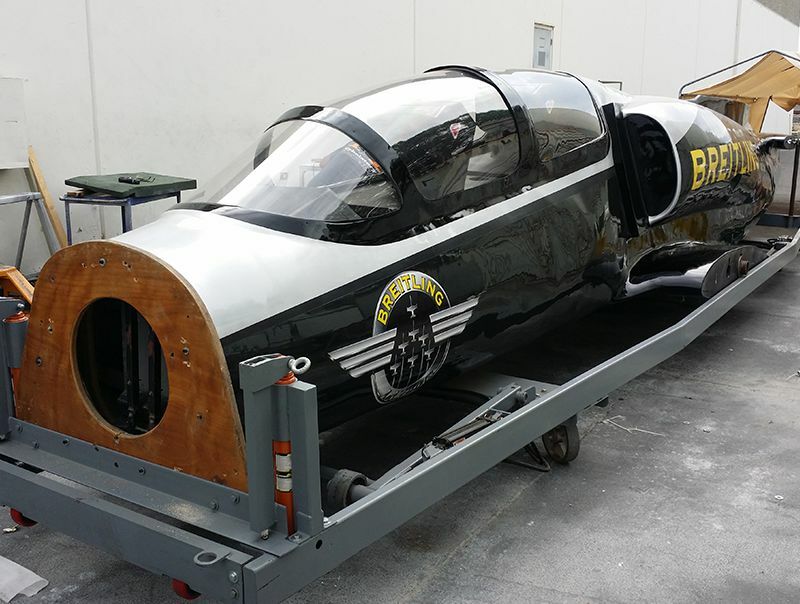 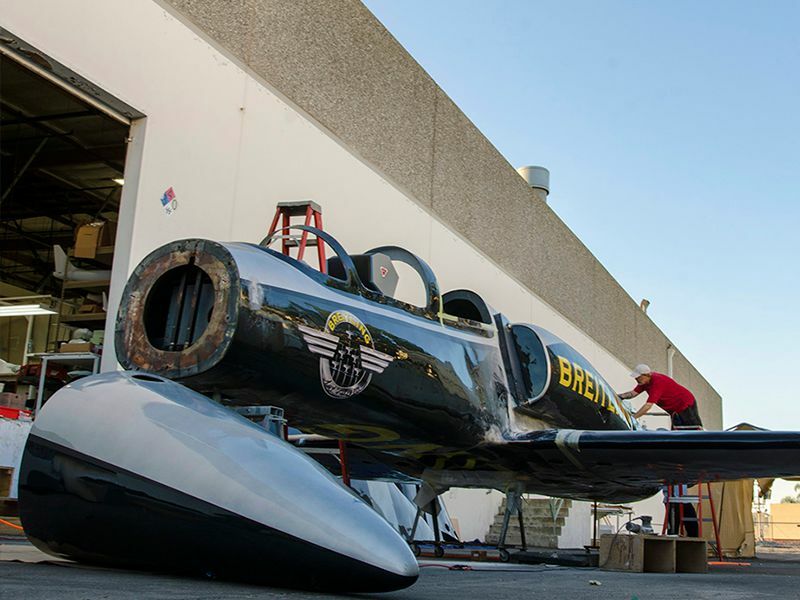 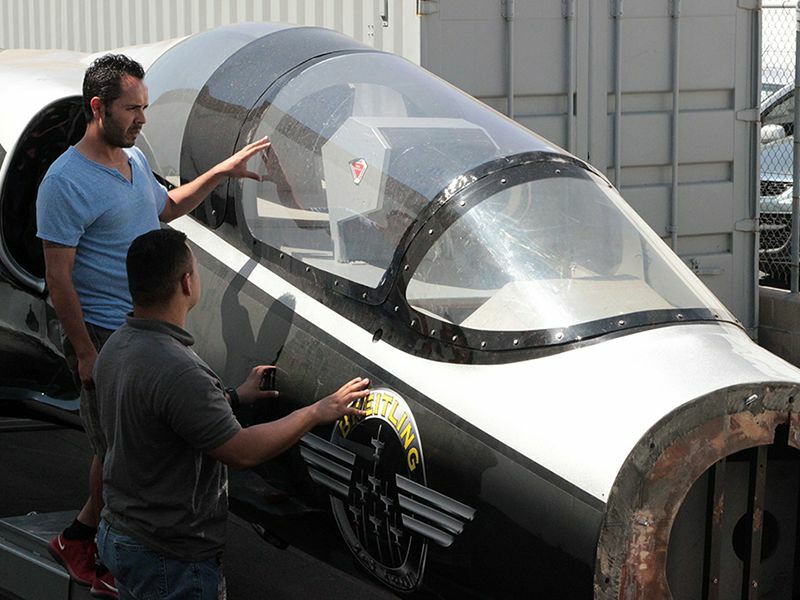 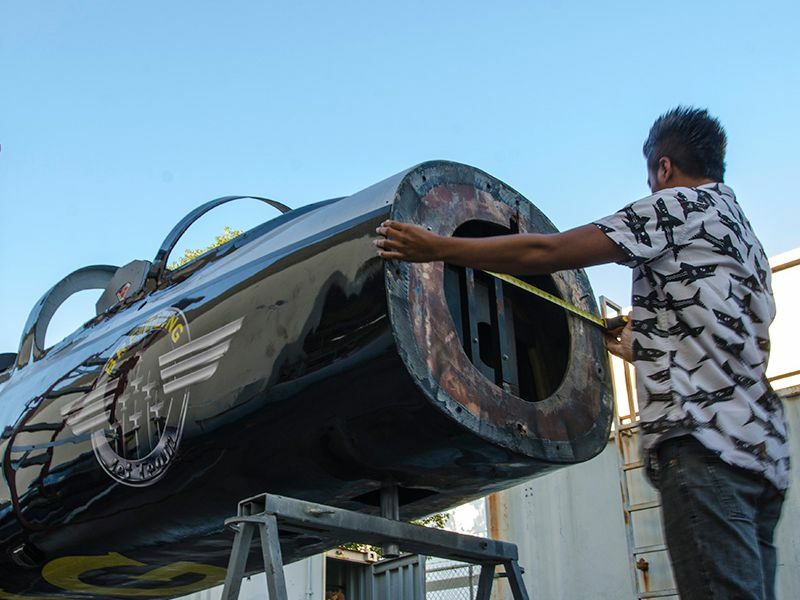 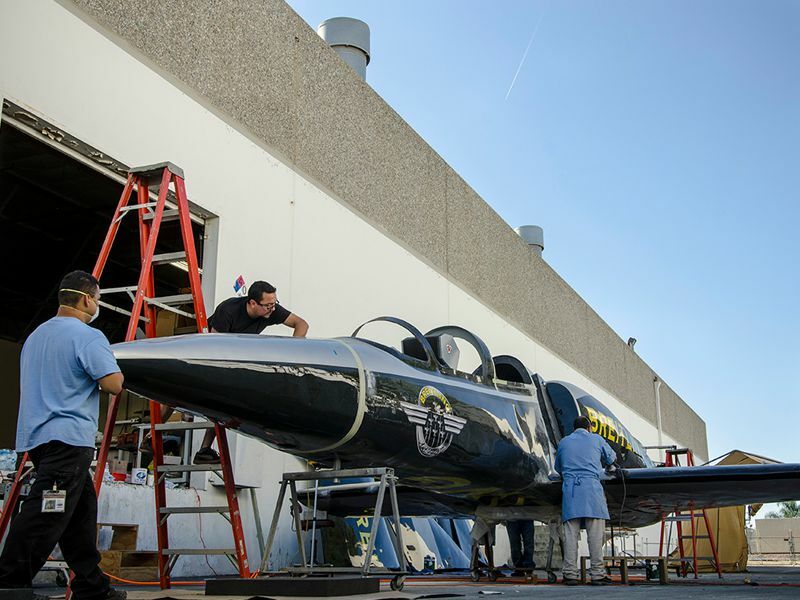 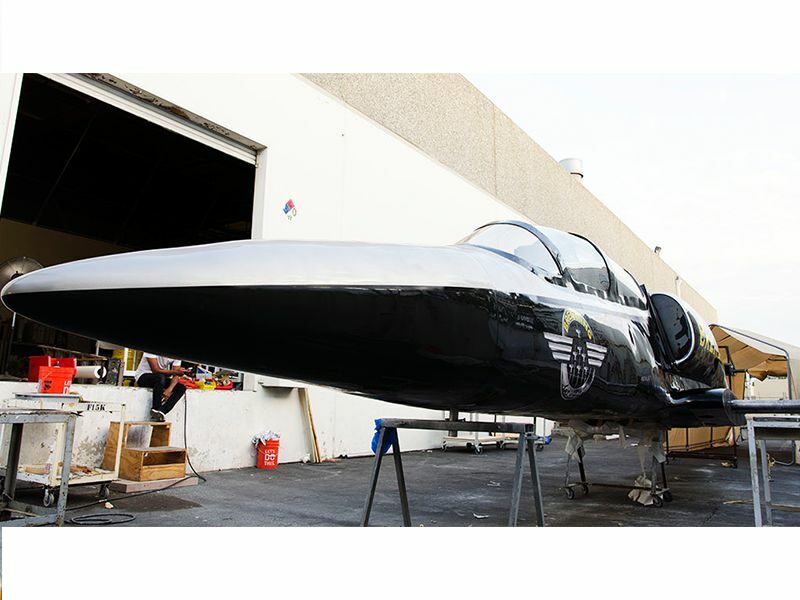 Before the Breitling jet took to the sky at the 2015 Reno Air Races, it stopped by PacMin for some R&R. 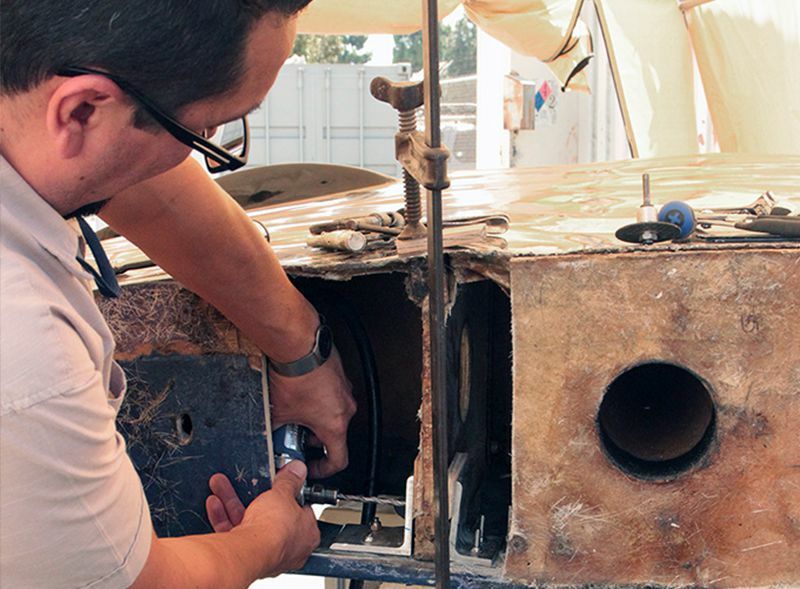 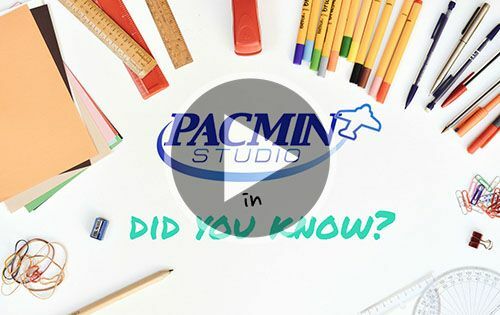 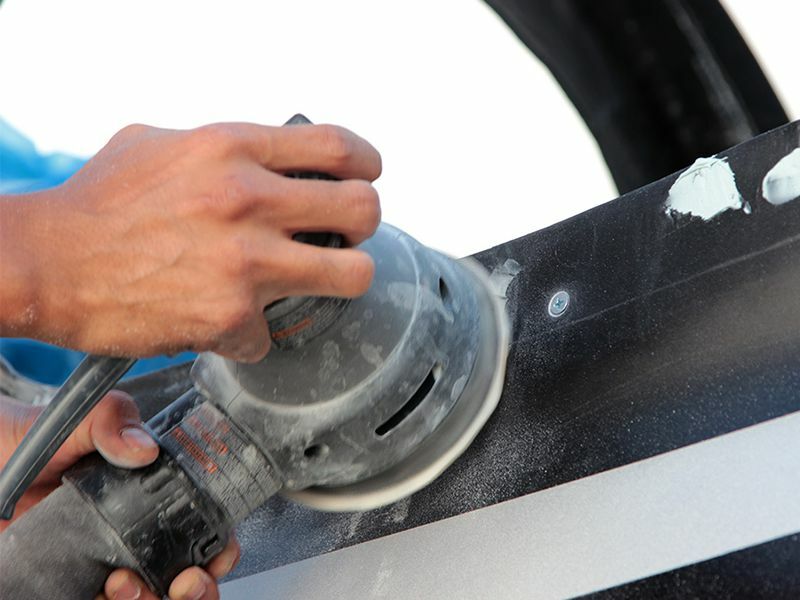 In one month, the PacMin team restored the paint and finish, and made other cosmetic overhauls. 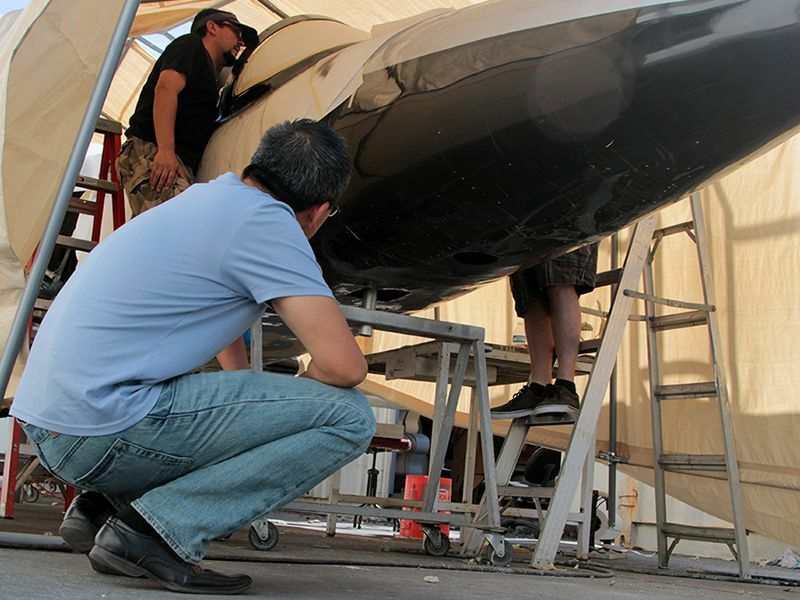 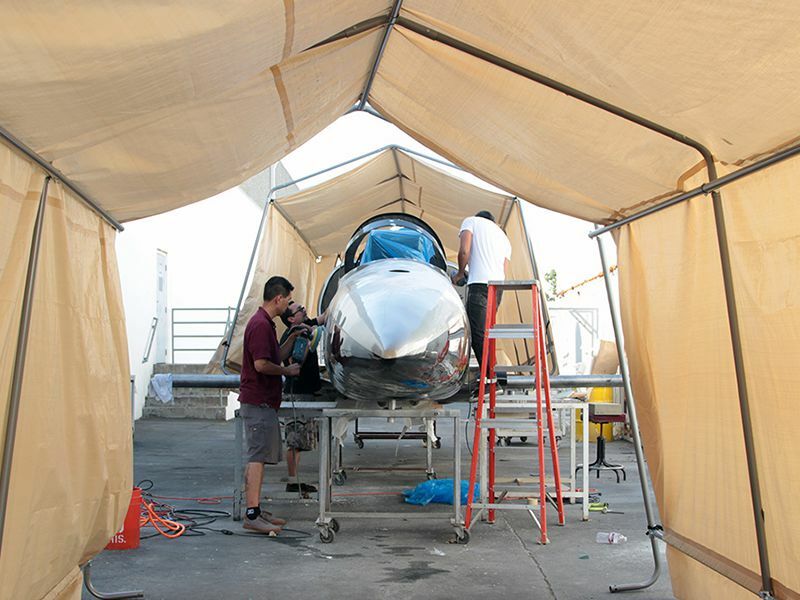 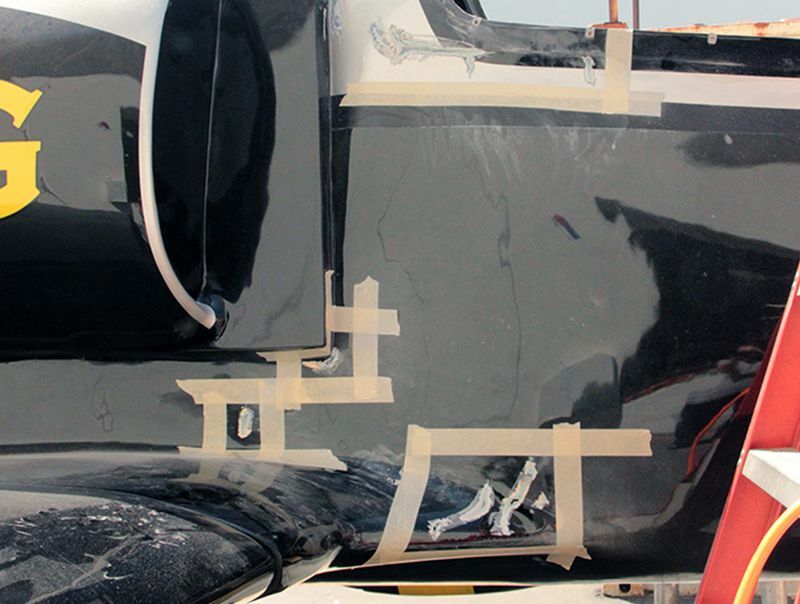 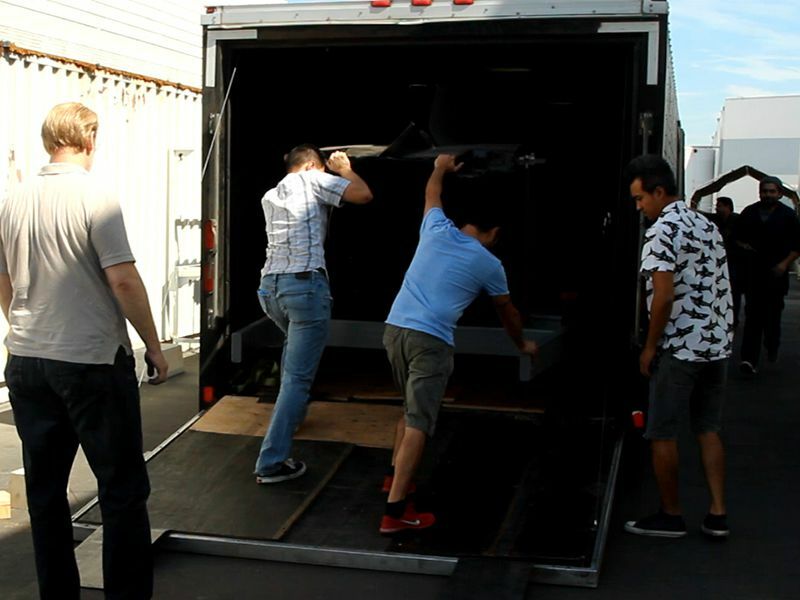 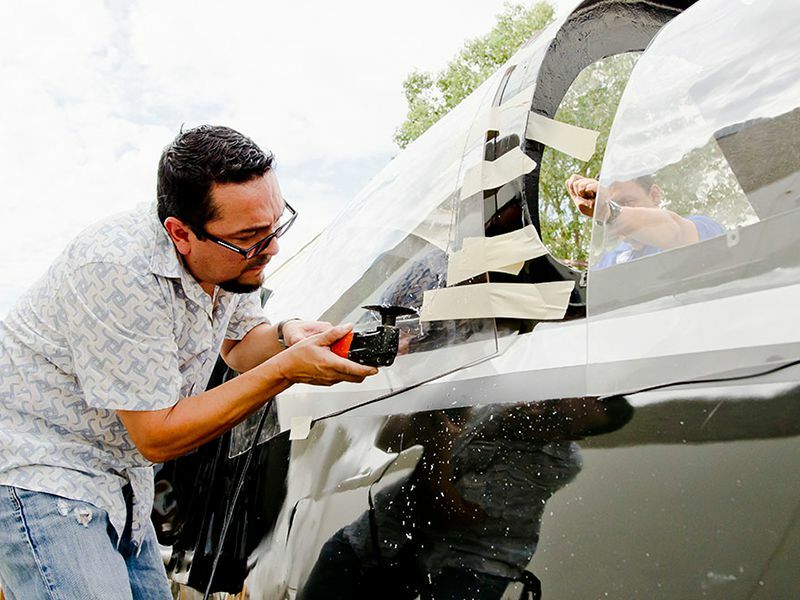 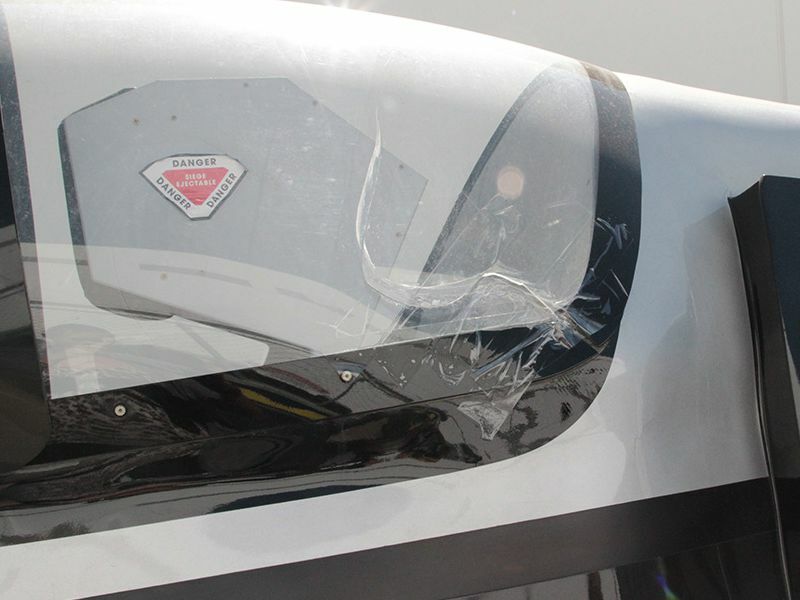 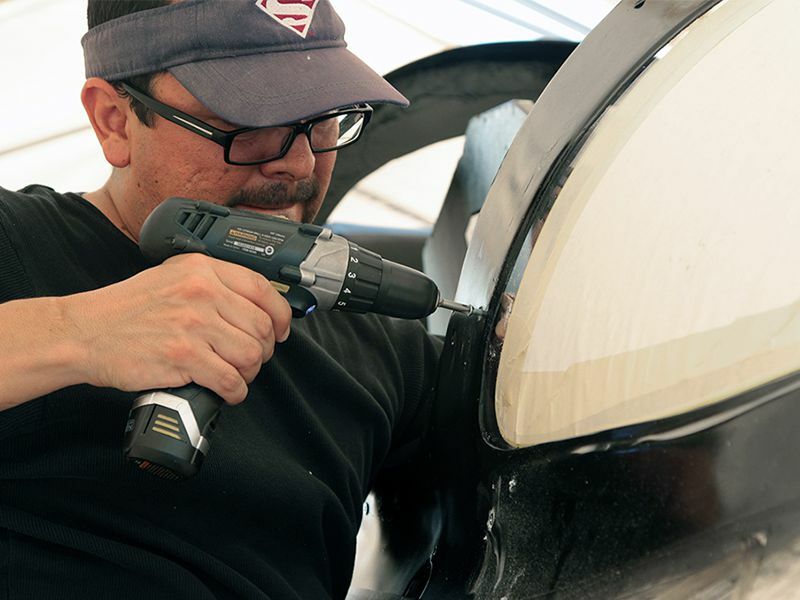 The team corrected the leading edge of the wings, replaced access doors, repaired the damaged canopy, and repaired other cracks and bruises. 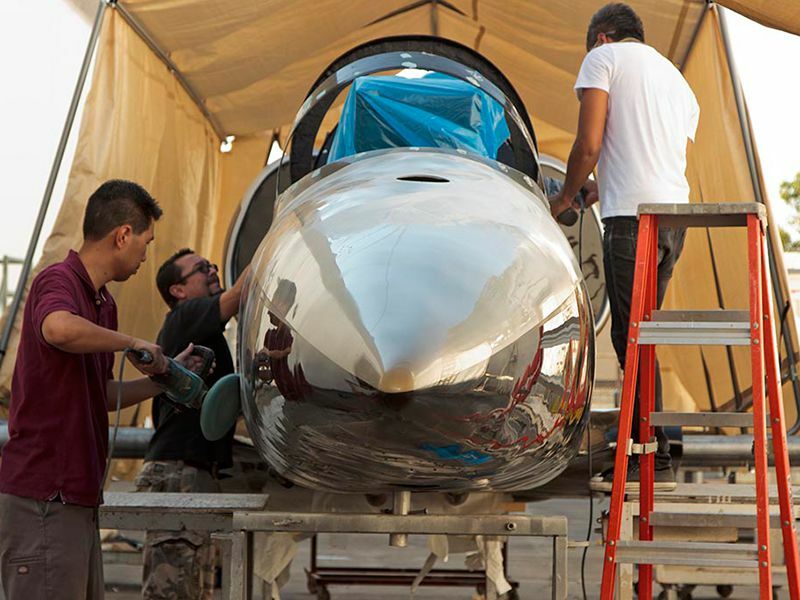 Finally, the jet was buffed and polished until it shined. 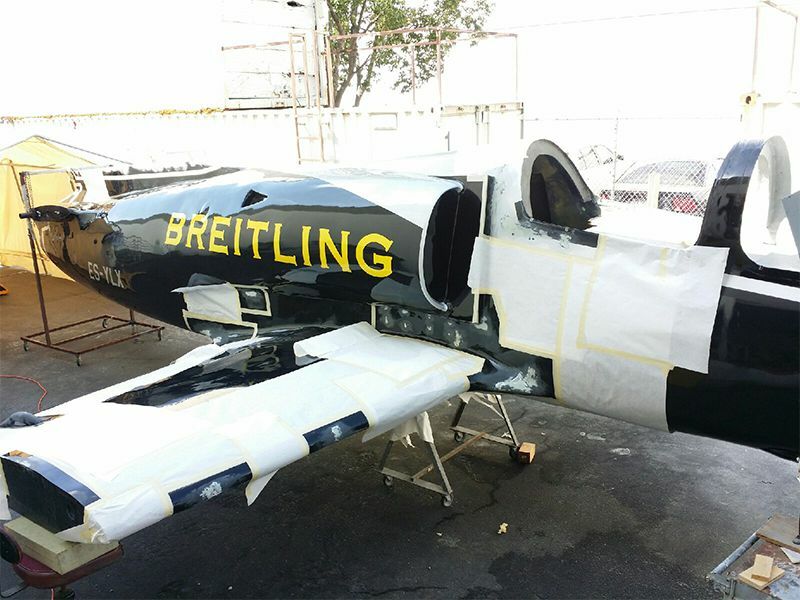 After countless blistering California summer days and nights, the Breitling Jet returned to pristine beauty. 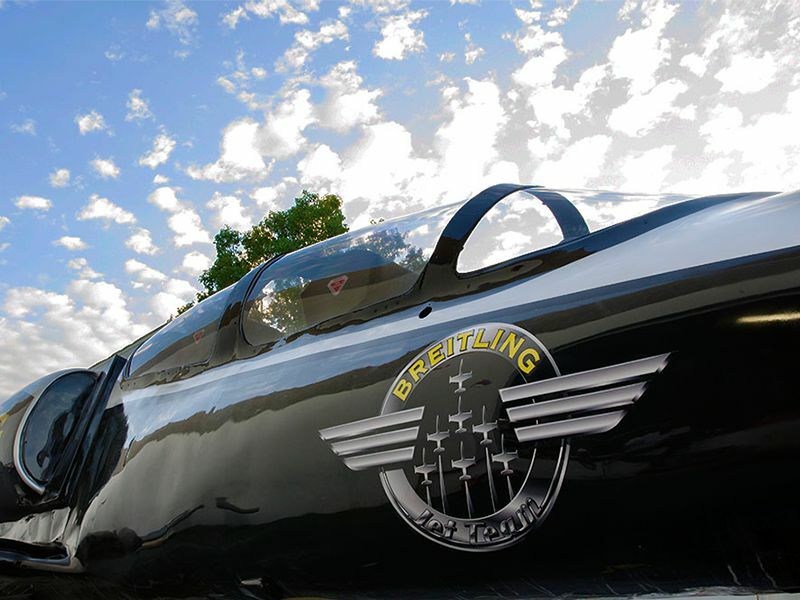 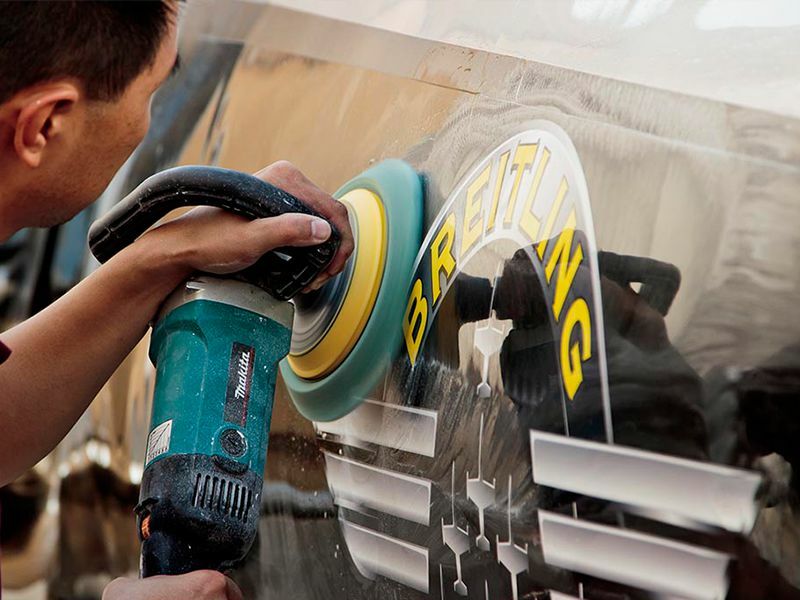 The Breitling Jet Team has travelled across the globe, performing at numerous air shows and touring countless cities. 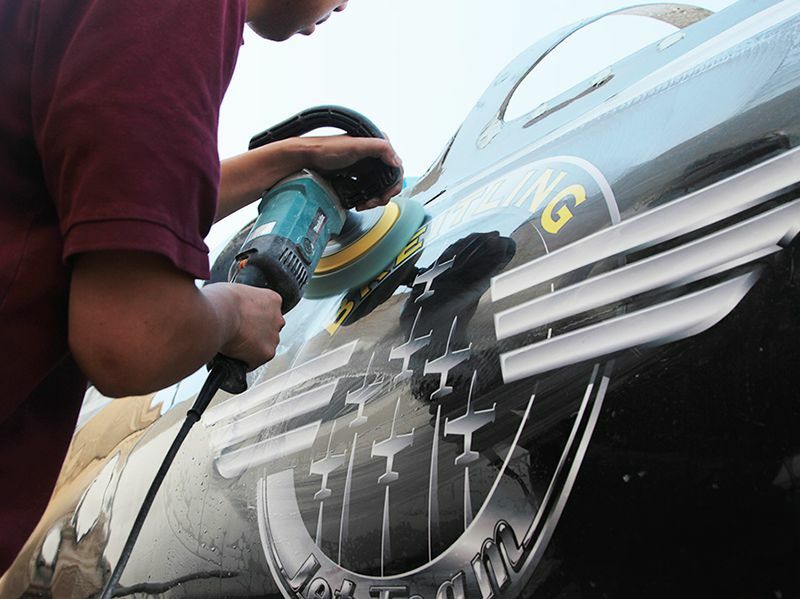 PacMin was proud to support the team during their inaugural North American tour. 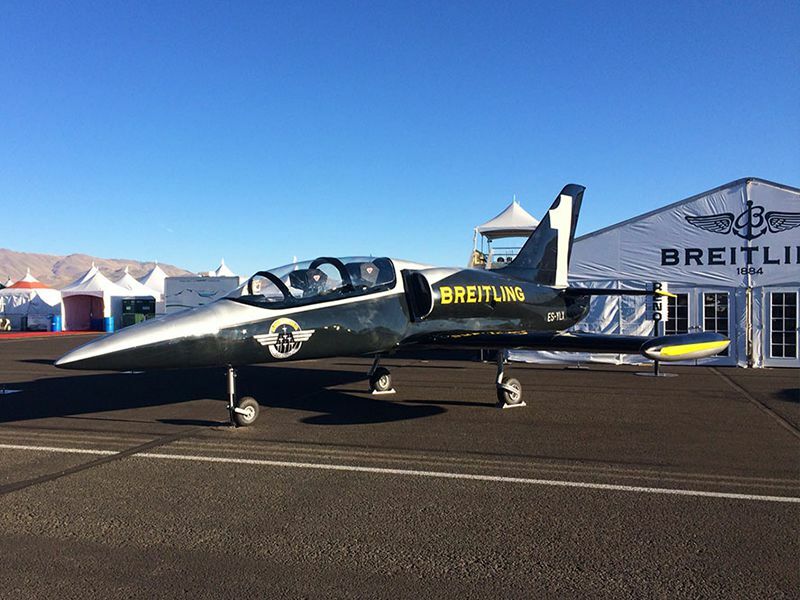 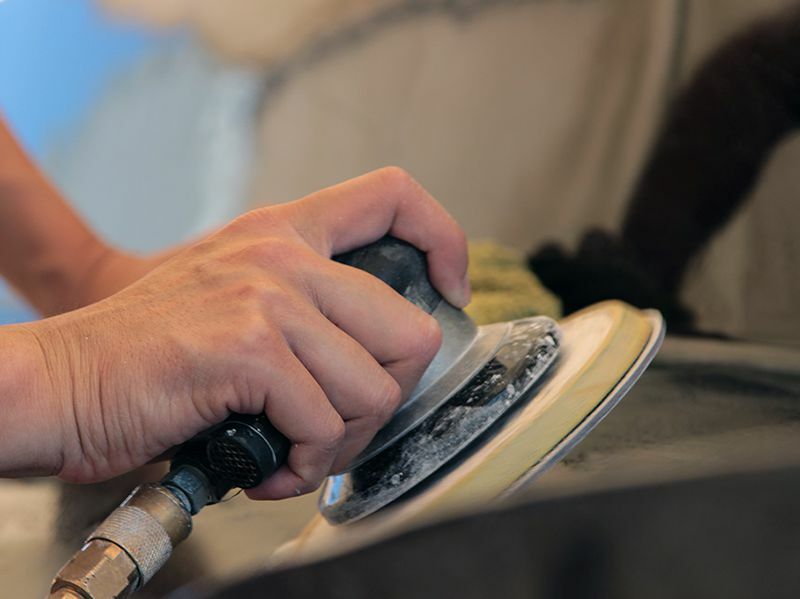 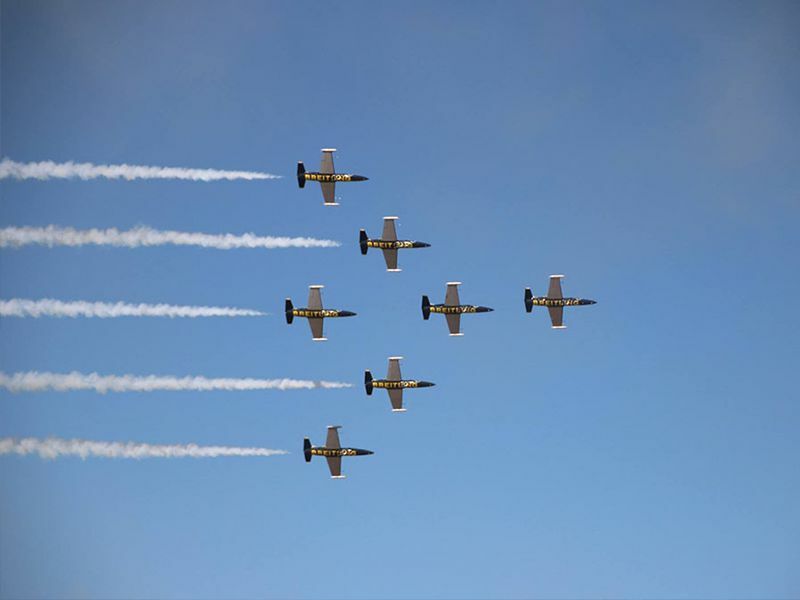 For more photos of the Breitling Jet Team’s performance at the Reno Air Races, visit http://airrace.org/.